We can help. This service is free. We have experienced consultants to guide you through the maze of complicated health insurance decisions. We can answer your questions on Medicare, Medicaid, supplemental insurance, prescription drug programs and related health insurance issues. Call us for a private consultation at our office or in your home. 1-800-427-1241. Call SeniorsPlus to speak with one of our Elder Services Consultants at 1-800-427-1241 and make an appointment for application assistance. Medicare is offering a prescription drug benefit to anyone who is enrolled in Medicare. To get this benefit, you must enroll in a private prescription insurance plan approved by Medicare. For 2017, there are 23 different plans available in the state of Maine. The cost to you depends on the plan you choose. Once you enroll in a plan, you pay a monthly premium. Monthly premiums for 2017 range from $14.60 to $144.70, but the average is around $35. You may have to pay an annual deductible before coverage kicks in. After that you pay a co-pay of approximately 25% of the retail cost of the drug. Medicare pays the other 75%, up to a total benefit of $3,700. After that you must pay 40% of the cost of covered brand-name prescription drugs and 51% for covered generic drugs. If your costs are extremely high, you may get more assistance. Medicare offers prescription drug coverage for everyone with Medicare. This is called “Part D.” Part D is private insurance that Medicare helps pay for. This coverage may help lower prescription drug costs and help protect against higher costs in the future. It can give you greater access to drugs that you can use to prevent complication of diseases and stay well. Your decision about Part D depends on the kind of coverage you have now. If you have other coverage, like a retiree benefit or VA, you may not need Part D.
There are two ways to get Medicare prescription drug coverage. You can join a Medicare prescription drug plan or you can join a Medicare Advantage plan that offers drug coverage. On either plan, Part D will help you by covering brand-name and generic drugs at pharmacies that are convenient for you. Like other insurance, if you join, generally you will pay a monthly premium, which varies by plan, and a yearly deductible (between $0 - $400 in 2017). You will also pay a part of the cost of your prescriptions, including a co-payment or co-insurance. Costs will vary depending on which drug plan you choose. Some plans may offer more coverage and additional drugs for a higher monthly premium. What if I can’t afford another monthly premium or deductible? If you have limited income you may qualify to have some or most of your Part D costs paid for. There are several programs available. Call SeniorsPlus for help, or apply at your local Department of Health and Human Services office. I signed up with a plan last year. Can’t I just stick with the same plan again? If you are satisfied with your plan, you do not need to do anything. You can stay with the same plan. However, there are many new plans for 2017 and some of the old plans have gone away. Other plans have introduced changes. To be sure that you are getting the best plan for you, you should do another plan search. How do I tell which plan is best? Medicare has set up a tool on the Internet called the Plan Finder. It will tell you which plan is cheapest, and help you compare plans. Go to www.Medicare.gov and click on Compare Medicare Prescription drug plans. I don’t have a computer! You can get this same information many ways. First, get together your Medicare card and a complete list of your prescriptions with the proper spelling. Ask a trusted friend or family member to go on the Internet and help you. Call 1-800-MEDICARE (1-800-633-4227). A Medicare worker on the other end of the line will go online and do a search for you and tell you the results. Call SeniorsPlus at 1-800-427-1241 (Lewiston) and ask for an appointment. What do I do if I use up my $3,700 benefit before the year is out and I can’t afford my medications? 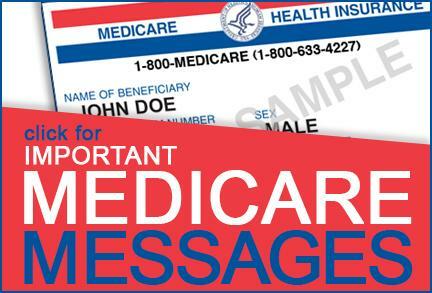 You may qualify for an assistance program like the Medicare Savings Program or the Low Cost Drug Card. You may qualify for a Prescription Assistance Program sponsored by the drug company that makes your medication. You may be able to get samples from your doctor or switch to a less expensive drug. Some of the new plans for 2017 offer some coverage in this gap (which is generally referred to as the Part D “doughnut hole”). Call SeniorsPlus at 1-800-427-1241 for assistance. I’m already on MaineCare (or the Medicare Savings Program or the Low Cost Drug Card). What do I do? The state will contact you. Watch your mail box. You do need a Medicare Prescription Plan. If you have any questions, call your local Department of Health and Human Services (DHHS) case worker. Our staff at SeniorsPlus can help you navigate the different Part D plans offered in Maine. We are dedicated to helping you know your options and finding out if you qualify for extra help. Annual enrollment is October 15 to December 7. Annual enrollment gives you the opportunity to look at the new plans that are available and examine changes in plans and costs for the coming year. You can change your plan with no penalty, but only during the designated period. We are also ready to help you sort through any questions or problems you may be having with your current plan. Just call 1-800-427-1241 and ask for a Medicare Counselor.